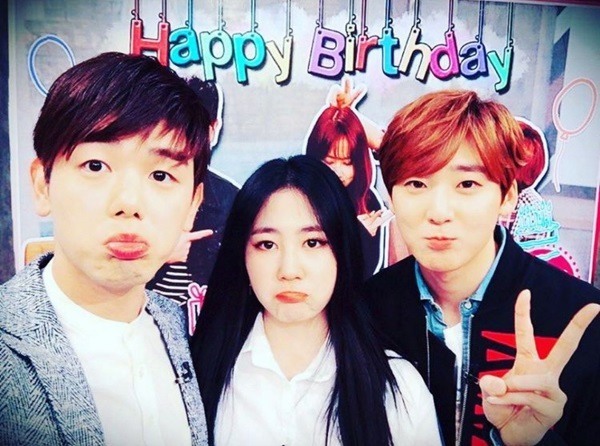 Nam on Tuesday posted a picture on Instagram taken with cohosts Park Ji-min from the duo 15& and Kevin Woo from the boy band U-Kiss. “Last day as an MC of ASC today. Thank you to all the hardworking staff members and team who help put together 3 years of ASC,” he wrote in the photo caption. “Thank you to my co-MCs, friends and family who gave so much to this show and (for) helping me through the show. To all of our guests who have joined us on the show, and last but most definitely not least, to all our ASCers around the world who tune in and show up for ASC. I’ve had an incredible time, learned and gained so much and truly appreciated and treasured the experience,” he said, urging fans to continue supporting the show. According to Nam’s label CJ E&M, Nam decided to leave the show to focus on his music career.